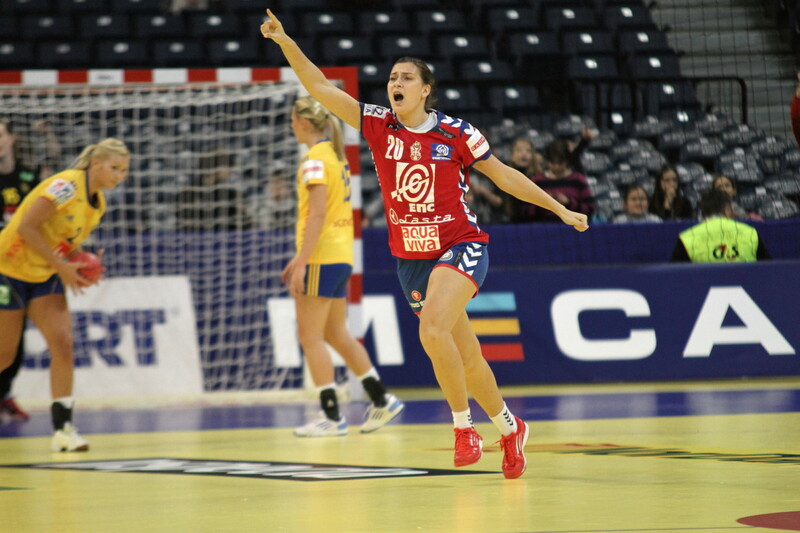 Eduarda Amorim, Brasilian backplayer, playing club handball at Győri Audi ETO is one of the timeoutmagazine’s experts. Today Duda is analysing the Main Round’s happenings and talking about chances in semifinals and the match played for the fifth place. The two semifinalists Norway and Serbia have done an incredible job. Norway with a totally different attitude then in the first round has showed that still have what it needs to keep in the top. First match against France was an equilibrate match but just in the first half. The second half Norway had a more solid defense and had no mercy for France’s mistakes, and in my opinion for the first time in this tournament they presented a high level performance. 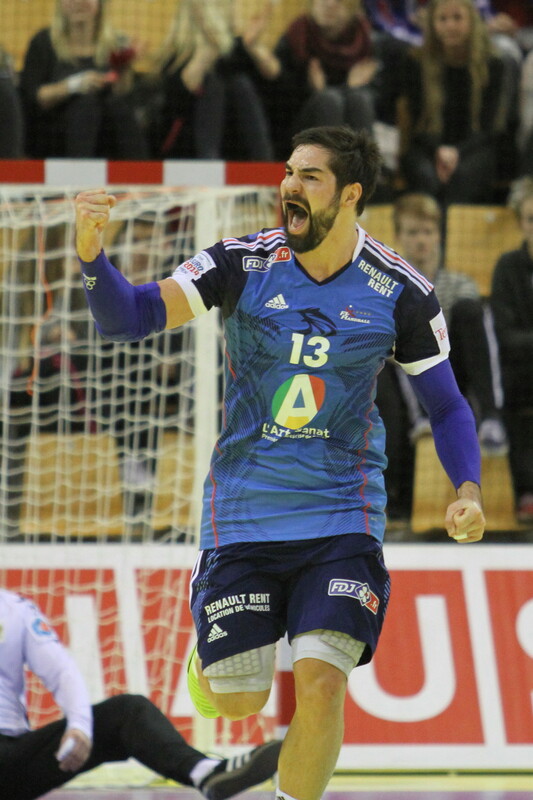 The same happened in the second match, where Norway in the last 15 min gave no chance for the opponent Sweden. Outstanding performance from Katrine Lunde, Heide Löke and Anja Edin in this match.Third match was very nice as well, with a lot of fast play for both side, but it had no importance for Norway, so the Danish took bravely the spot for 5th/6th place. Great job from Norway’s coach who changed in the right moments and felt every time the team needed a tactical change or in attack or in defense. Lucky him, he can count on many top level players. Excellent job from them and of course well deserved spot in the semifinals. Serbia have impressed everyone. Every rotation of players have worked well and the coach should be proud of these girls and of course of his own work. Serbian team amaze every spectator in all of the three matches and with their effort, specially in the defense they took also the well deserved spot in the semifinals. A big plus was their goalkeeper Tomasevic who save in so many decisive moments of these three matches. France performance one more time was disappointing. They had good moments on the three matches but could not keep a consistency of their game. Great matches from this group! Montenegro and Hungary performed amazing well…Congratulations for these teams for reaching the best four. Montenegro was leaded by Katarina Bulatovic and keep the high level of the play during two of the three matches of the main round. First game against Hungary they leaded during all the match and even if Hungarians reacted and got closer they didn’t panic and control the result until the end. Their second match against Germany they were not able to play well, but the credits should be given to Germany, specially Woltering who stopped all her Buducnost team mates shots. Third match didn’t count any more but they managed a splendid turn out of the score against Spain ,and guaranteed the first position of Group I.
Hungarians pull out great performance, in the first match they didn’t had Görbicz but they almost get a victory against Montenegro. In the second match their best player in the field, Tomori was out, for misbehaving , but this didn’t push down the Hungarian team and they were able not just playing good, but also entertained all the fans coming to watch them live. This match was their best match against the Romanians, where they guaranteed the semifinal place. Perfect job. 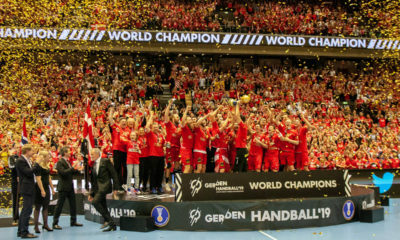 I also would give credit for the coach Karl Erik Böhn, who give all the support they needed so they can reach the semifinals. Third and last match was not so good, but their spot was already secure. Russia had equilibrate matches but their performance didn’t impressed me too much…First match thanks to great performance of the wings they get a point against Germany. Second match against Spain they were better in attack and using well their physical strength they got to one more point. Third match was played against Hugary, with a 6 goals difference and they managed to reach the spot for 5th/6th place. Germany for one goal missed the possibility to fight for for a better place, but I liked the way they played. They perfomed better that they were performing in the group.Their highest moment was the victory against Montenegro, great match to watch. Both goalkeeper made a good job and also left back, Laura Steinbach, took the team to a better level. 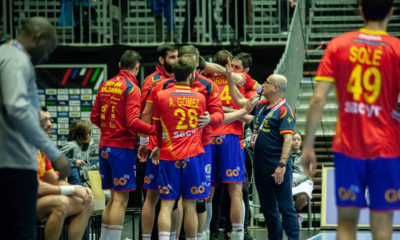 Romania also didn’t convince with their handball… Their best match was against Spain where they showed superiority when leading by score. The other matches were not good, and I didn’t expect so poor performance from them… And their both goalkeeper tried to help but it was not enough to take a good position. Spain was the biggest disappointment of this tournament for me. I think they missed Macarena very much and were not able to pull out the fight they have been showing lately. Begona and Carmen tried to motivate the team but nothing was enough to get more points in this group. 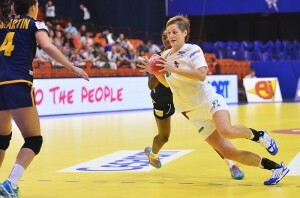 Danes are playing brilliantly and I think they will give a really hard job for the Russian team. For Russia I think they didn’t show their best performance yet, but they arrived here so I believe it will be an equilibrate match. In my opinion I believe Denmark will get the 5th place. Norway and Hungary would be an interesting match. My favorite for this match is Norway , but Hungary is very confident so it won’t be easy at all for Norway to reach the final. Both coaches have been showing clever decisions during the matches… And both teams players had outstanding performances. It will be a good match to watch! Montenegro and Serbia is very hard to predict who is going to be able to reach the final… Of course Montenegro is the favorite but Serbia is doing an amazing job and I am not so sure if Montenegro can win this one. Both teams have their supporters live, both teams are performing their best.I could even risk the decision goes to 7 meters…who knows… But if I have to say a name it would be Serbia. Finally I would like to send a big GOOD LUCK for all my team mates from Győri Audi ETO. Heide Löke, Katrine Lunde, Anita Görbicz, Aniko Kovacsics,Viktória Rédei-Soós, Orsolya Herr, Andrea Lekic and Jovanka Radicevic. Heidi Löke and Karl Erik Böhn go separate ways!